As soon as they are 1 year old. Not sooner. I have often heard this phrase: When can kids have honey? Why should it be a difference? It’s a natural product, it should be the same. Only that infants are not exactly little people, they are becoming people. Because honey is a natural product, and it’s not sterilized, it can have spores of a bacterium called Clostridium botulinum. Not all honey has these spores, but they can be there. This bacterium can survive in honey, and not build toxin. The stomach of infants younger than 12 months is not completely developed and once these spores are ingested they can survive and build toxin, thus leading to the fatal illness called Botulism. In Germany for instance, every year it is reported one case of botulism, but this is of course related to a high percentage of people consuming honey. Some honey packers, like British Honey Importers and Packers Association, put a label on the honey label with: “honey should not be given to infants under 12 months old”. Yet, in the EU countries there is not a regulation for placing such a warning on honey jars. After 1 year, the baby’s stomach is completely developed to digest the spores and there is not danger for developing botulism any more. The child should have honey, so it’s a good thing to start with very little, have a pause of a day, then again a little honey. For children, honey does amazing things, you can read all about them here. – were less susceptible to diseases. All the positive effects of honey in infant diet are related to the effects of oligosaccharides on acidophilic microorganism flora rich in B. bifidus. A good digestion means everything! Nevertheless, the risk of ingesting botulinum spores are present, so we better wait until our child is 1 year old. After that give honey with confidence! These products are not common in the United States but may be available in some specialty stores and through online retailers. Most aren’t designed for the honey to be consumed, but some have a small hole so a child could eat the honey, or the pacifier could accidentally rupture or leak. Parents should also avoid pacifiers containing any other food substance, because they could also pose a risk of botulism. Unfortunately in November 2018, the Texas Department of State Health Services announced that 4 infants in the state had been hospitalized for botulism after each had used honey-containing pacifiers purchased in Mexico. These hospitalized had occurred between mid-August and the end of October. 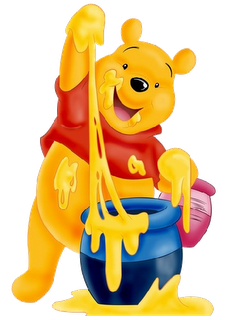 U.S. Food and Drug Administration (FDA) re-emphasized that you should never feed a child honey before he or she reaches at least one year of age. So, don’t! Don’t give your baby honey until he/she is 12 month old. it’s way better to prevent. Even rare things can happen to me and you. It is called: medical grade honey! It is made from manuka honey, which is a type of honey made by Apis Mellifera honey bees, from Leptospermum species of trees, especially from Leptospermum scoparium and/or Leptospermum polygalifolium. There are lots of manufacturers all over the world that make medical grade honey. It is sold as the best natural product to treat skin conditions, like wounds, burns, ulcer foot, psoriasis, acne etc. Yet, be careful with this honey. It contains high amounts of methylglyoxal (MGO) and it was not yet proved that it is safe for ingestion. What makes it good for babies? There is no risk of having Clostridium botulinum! This type of honey is generally made to be mixed in a dressing to treat skin diseases, but it is available in jars as well. The serving size is of ½ teaspoon for an adult, so I suppose the dose for an infant should be really small, like few drops. But you can trustfully use it topically. 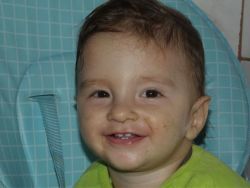 It will successfully treat baby’s acnea! Hello – and what a wonderful site you are growing here, Laura. I am in my second year of keeping bees as a hobby. I appreciate the information, explanations, and references you provide on your site It seems there is more and more our modern society is rediscovering and relearning about the benefits of honey. What once was folklore continues to be validated by the scientific method. Thanks a lot for your encouraging and wonderful words. You are so right, we have finally given folklore justice! The thing is that our rational minds of today need evidence, and that’s why we need to understand first how it works. My wife and I have used a mixture of garlic, lemon and honey as a general antibiotic for all our kids as we chose not to immunize them. They are now young adults and have never had a chemical anti-biotic. Wow!! That is great information on honey as it pertains to infants. I wonder why the honey diet is not as pervasive among infants after a year old with all the benefits research has shown? I think we are too scared to give them new stuff. Especially powerful stuff like honey or pollen. In the country mothers are more relaxed, more brave let’s say, and feed them better.